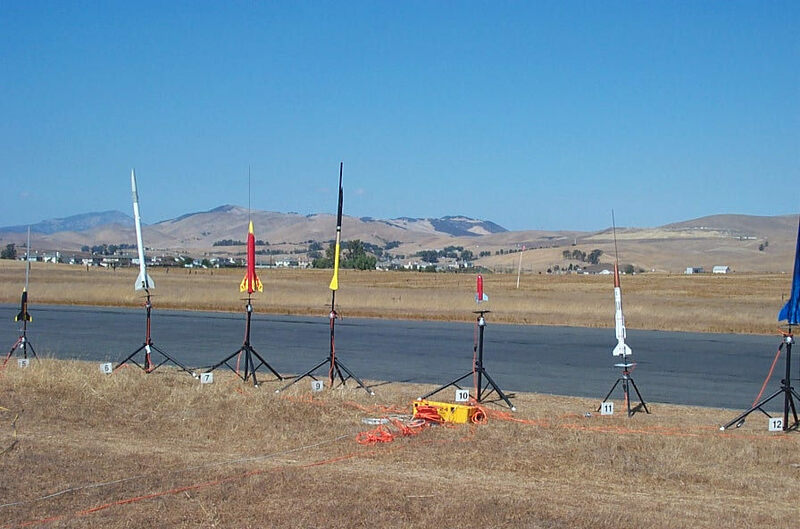 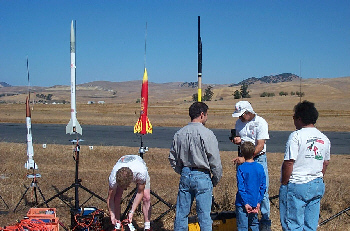 On Sunday, September 29, 2002 LUNAR demonstrated model rocketry at the 2002 East Bay Radio Controllers aeromodeling show. 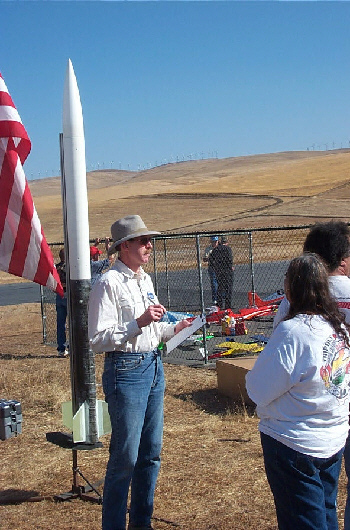 Joe Heckenbach coordinated the LUNAR portion of the event again this year. 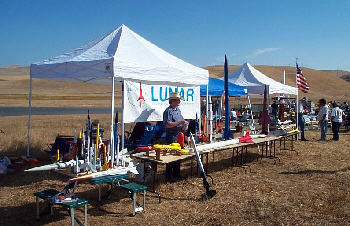 The LUNAR display at the show had a range of rockets from the tiny to the huge. Bill Orvis works to open a Micro Max launch pad. 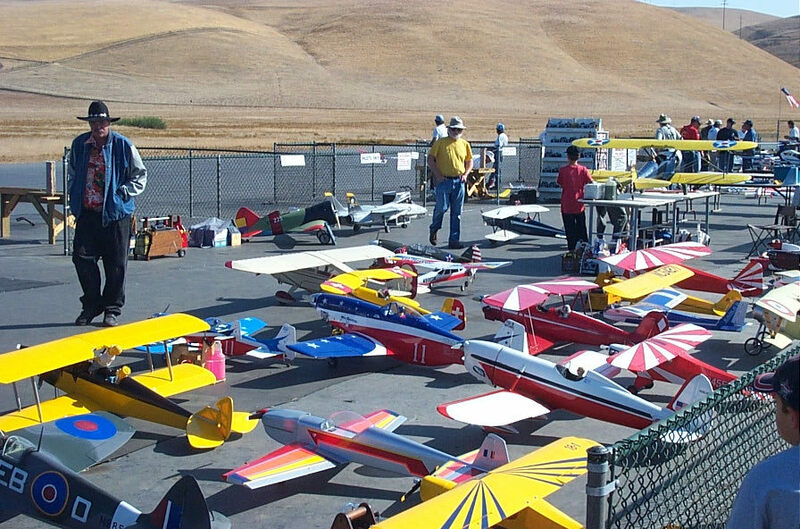 Joe Heckenbach is trying to get everyone in order. 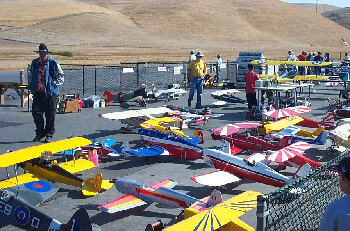 There were lots of planes in the show, including several helicopters and two jets. 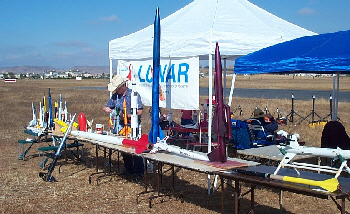 LUNAR members get their rockets ready for the noon show. The LUNAR flightline ready to go.